DBF to XLS (Excel) Download (Shareware, USD $29.95, Business The DBF to XLS (Excel) program allows you to convert your dbf files to XLS (Microsoft Excel) format (DBF to XLS (Excel) 2.25). 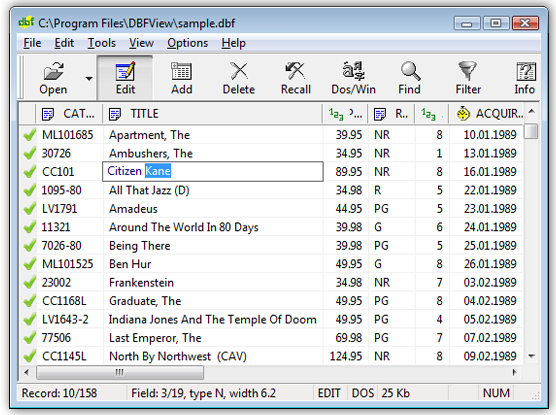 XLS (Excel) to DBF 1.40 - XLS (Excel) to DBF allows you to XLS (Excel) to DBF 1.40 Download: XLS (Excel) to DBF allows you to convert your XLS files to DBF format. It is very simple to use.